Avery Weigh-Tronix 3700LP is a self-contained, economical bench scale for basic industrial weighing. This low profile, mild steel bench scale has a stainless steel weighing platter and is very durable, making it ideal for tough industrial environments. 10x10 to 18x18 platter and 10 lb to 250 lb capacity. This industrial scale has a simple user interface, for reduced errors and increased efficiency. It can be easily hooked up to a printer or label printer to export weighing data. The 3700LP also offers you a range of choices: AC or battery power, a ball top kit for integration into a conveyor and a convenient selection of sizes and capacities, from 10 lbs to 250 lbs (5kg -110kg). The easy to read, backlit, LCD display is ideal for use in low light conditions. 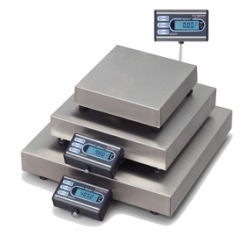 This bench scale is the ideal choice for basic, affordable industrial weighing. The 3700LP is also legal for trade, for use in applications where product is sold by weight. Construction –Aluminum base on 10”x10” model or mild steel base on 14”x14” and 18”x18” models. Stainless steel shroud. 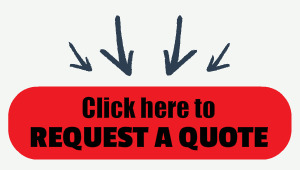 Convenient selection of sizes and capacities – Choose from three sizes with capacities from 10 lbs. to 250 lbs. Display – Backlit LCD display with six .5” tall digits. Housed in a 6” aluminum alloy extrusion. Display can be attached to base with supplied aluminum display bracket and secured with magnetic strips. Can also be remotely mounted with 7’ of included cable. Units of measure – lb, kg, g or oz. Front panel switching between units of measure (Note: only two units active at any one time). Keys – Units, Print and Zero. RS232 I/O – Interface with computers and printers. Printer ready – Connects to WP-23X tape printer or Zebra 2844 Label Printer. Prints human readable labels or bar code labels on 1.2” x .85” or 2.5” x 4” stock. Also supports master/slave protocol selections of ProBench, NCI 3835, and 8213. Two autoprint features transmit weight when items are either placed on, or removed from scale. Auto power off – Two power saving modes can be configured to turn the backlight off or shut down the scale after inactivity to preserve battery life.